Product prices and availability are accurate as of 2019-04-21 20:09:32 UTC and are subject to change. Any price and availability information displayed on http://www.amazon.co.uk/ at the time of purchase will apply to the purchase of this product. Dri-FIT fabric wicks sweat for dry comfort while running. Mesh panel offers cool ventilation down the center back. 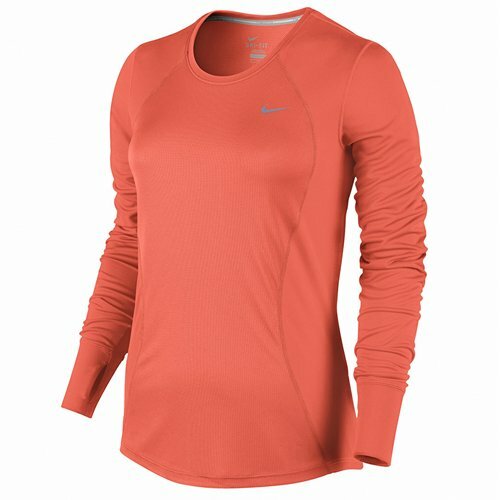 Long-sleeve design offers coverage for cooler conditions. Dropped back hem enhances your coverage. Scoop-neck design for a nonrestrictive fit.